Bachelor Parties with the Dolls! What better way to celebrate your Bachelor or Bachelorette Party? We offer a wide variety of friendly, classy and engaging exotic dancers. Come dance with the best, Rhode Island Dolls is hiring new dancers now! 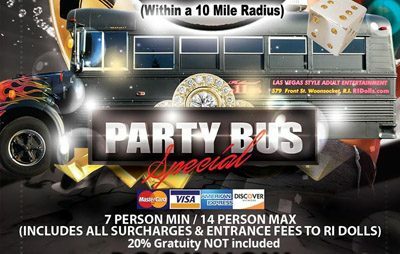 Party Bus Rental $99 Pick up & Drop-off (Within a 10 mile radius) 7 person min / 14 person max Includes all surcharges & entrance fees to RI Dolls 20% Gratuity NOT included BOOK NOW! The Ri Dolls House Moms are looking for entertainers to join our club. New opportunities to make you more $$$. Call 401-765-6624 to set up your audition today! Upon purchasing Bottle Service you will receive your VIP area for the hour per bottle and complimentary mixers for all of your cocktails (excluding Red Bull & Bottled Water). Service Gratuity is not included in the bottle prices. All Bottle Service reservations will be charged 20% gratuity for service. 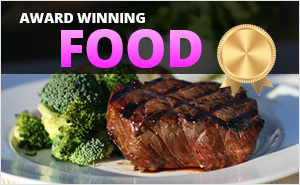 $500 minimum purchase applies for groups of 10 or more.